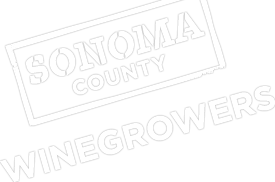 The Sonoma County Winegrowers will hold its Annual Grower Seminar, Tradeshow and Barbecue on Friday, June 6, 2014, from 7:30am – 1:00pm at the Warren G. Dutton Pavilion at Shone Farm, 7450 Steve Olson Way, Forestville, CA. The deadline to register is May 24, at www.sonomawinegrape.org/bbq. The seminar, tradeshow and lunch are open to all wine industry, allied industry members and the public. The tradeshow will feature over 50 vendors. Lunch with Sonoma County wines is included with the ticket price. The annual Viticulture Award of Excellence will also be presented. The seminar kicks off with Sonoma County Agricultural Commissioner Tony Linegar providing an update on the Biological Assessment, Ag Waiver and VESCO. Linegar will then lead a panel of experts for Q&A on the new Biological Assessment Requirement. Agriculture’s hardest working labor lawyer, Michael Saqui of The Saqui Law Group, will provide an industry trend report that exposes and analyzes a growing national trend of activism by “Worker Centers”. This session will examine the most recent activity in Ag-business and focus on boycott issues, social media attacks and “hacktivism.” Media expert John Segale of Precision Public Relations will talk about best practices and recommended approaches to manage crisis situations and how to effectively communicate the winegrower story. The deadline to register is May 24, at www.sonomawinegrape.org/bbq. For questions on general registration or the event, please contact Karen Thomas at 707-522-5862 or [email protected]. Attendees who miss the registration deadline can pay at the door with cash or check. The cost is $20 for winegrowers, $30 for wine industry and the public.